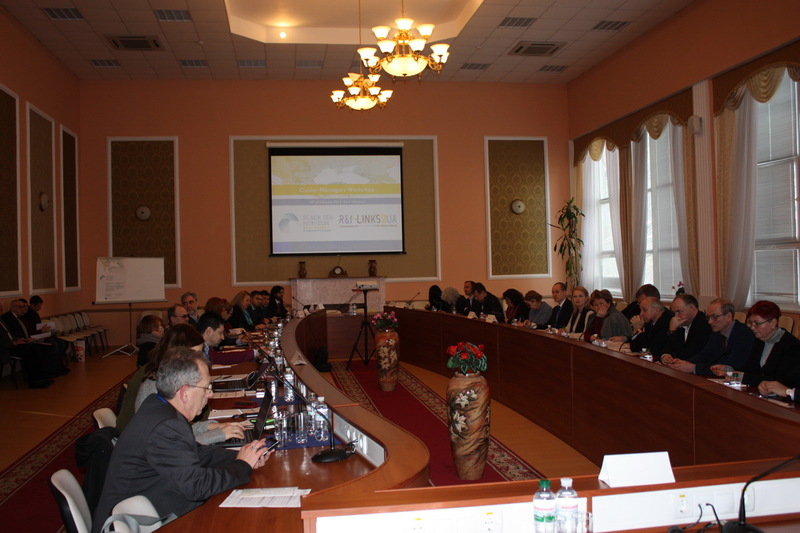 The development of international scientific and technical cooperation, in particular the search fornew partners, is now an integral part of activities of research institutions in Ukraine. 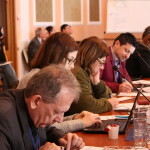 The State Organization “Institute of Economics and Forecasting of the National Academy of Sciences of Ukraine” also pays considerableattention to this issue. Thus, on September 19, 2018, the Institute hosted a delegation from the Jiangxi Academy of Sciences (People's Republic of China) headed by its President Xiong Shaoyuan. 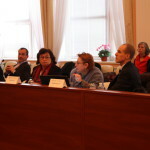 The Institute was represented by the Deputy Director of the Institute Andrii Hrytsenko, the Deputy Director Sergii Korablin, scientific secretary Vladimir Khaustov, the Head of the sector of forecasting of fuel and energy complex Roman Podolets, the Senior Researchers Olena Stepanova and Vitalii Gryga. The main purpose of the meeting was to discuss areas and further S&T cooperation between Jiangxi Academy of Sciences and Institute for Economics and Forecasting NAS of Ukraine. The Deputy Director of the Institute Andrii Hrytsenko opened the meeting and introduced the Institute to Chinese colleagues. The President of the Jiangxi Academy of Sciences Xiong Shaoyuan and the Director of the Institute of Science and Technology Strategy Zou Hui presented Jiangxi Academy of Sciences and praised the existing experience of cooperation with the Institutes and researchers of the National Academy of Sciences of Ukraine, and in particular - the work of the Senior Researher Vitalii Gryga at the Institute of Science and Technology Strategy as a high-end expert in March 2018. Also Zou Hui proposed a number of thematic directions for deepening of cooperation between the Institutes, namely research in the field of S&T strategies, industrial development analysis, etc. 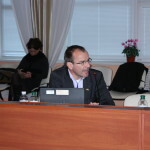 The Deputy Director Sergii Korablin paid attention on the relevance of the study of Chinese experience and outlined the relevant areas, including the experience of China's industrial policy and its provinces, the financing of technological modernization of enterprises and the study of development institutes, etc. 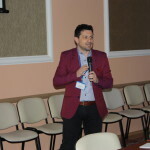 Senior Researcher Vitalii Gryga shared his experience of working at the Institute of Science and Technology Strategy, where he prepared and presented analytical materials on technological foresight and on peculiarities of the establishment of successful industrial and technological parks. During the meeting, possible forms of cooperation such as programs of admission of foreign specialists in Jiangxi province, joint research projects, including international, as well as participation and organization of joint events, conferences and seminars, were discussed by participants. In conclusion, the deputy director of the Institute Andrii Hrytsenko thanked his Chinese colleagues and expressed his hope for deepening cooperation and realization of joint projects. The President of theJiangxi Academy of Sciences Xiong Shaoyuan, thanked the Institute for the hospitality and invited Ukrainian colleagues to visit Jiangxi Province. 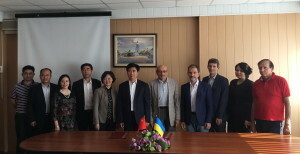 According to the results of the meeting, a bilateral cooperation agreement between the Institute of Economics and Forecasting of NAS of Ukraine and the Institute of Science and Technology Strategy of the Academy of Sciences of Jiangxi Province was signed. 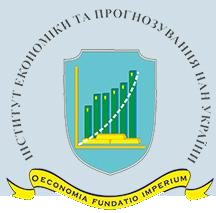 Economic and financial potential of successful cooperation between Ukraine and the PRC within the context of implementation of the Initiative “One Belt, One Road” was discussed at a round table held by the State Organization “The Institute for Economics and Forecasting of the NAS of Ukraine” (IEF) on 23 January 2018. 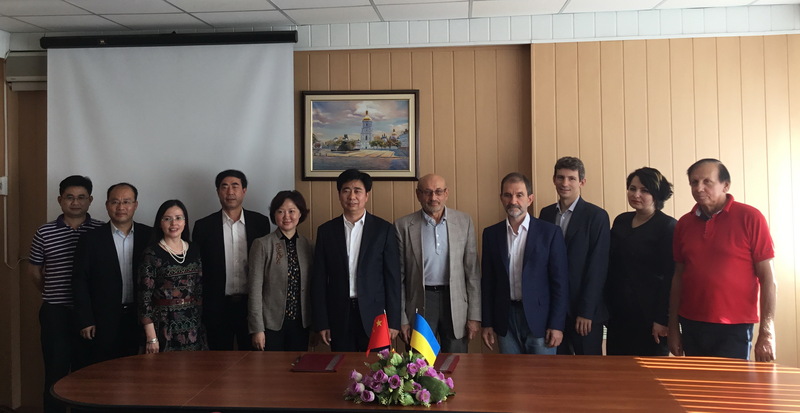 Leading academics of the Institute of World Economics and Politics (IWEP) of Chinese Academy of Social Sciences took part in the round table during their first working visit into Ukraine. Institute of World Economics and Politics of Chinese Academy of Social Sciences was represented by its Director Zhang Yuyan, Deputy Director of the Department of International Strategy Ren Lin, Senior Research Fellow of the Section of International Strategy Lu Guoxueand Research Fellows of the Department of International Political Economics Tien Xu and Liu Wei. Director of the Institute for Economics and Forecasting of the NAS of Ukraine, Academician Valeriy M.Heyets familiarized Chinese scientists with the main areas of scientific research conducted by the IEF and outlined the prospects of joint scientific research and other forms of cooperation between the IEF and IWEP aimed at intensification of economic cooperation between Ukraine and the PRC and promotion of their sustainable socio-economic development. Director of the Institute of World Economics and Politics of Chinese Academy of Social Sciences Pr. 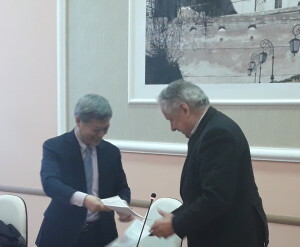 Zhang Yuyan expressed interest in joint scientific research with the Institute for Economics and Forecasting of the NAS of Ukraine. He also described the main stages and the results of the implementation of the “Policy of Openness” of the PRC and presented PRC’s initiative “One Belt, One Road”. 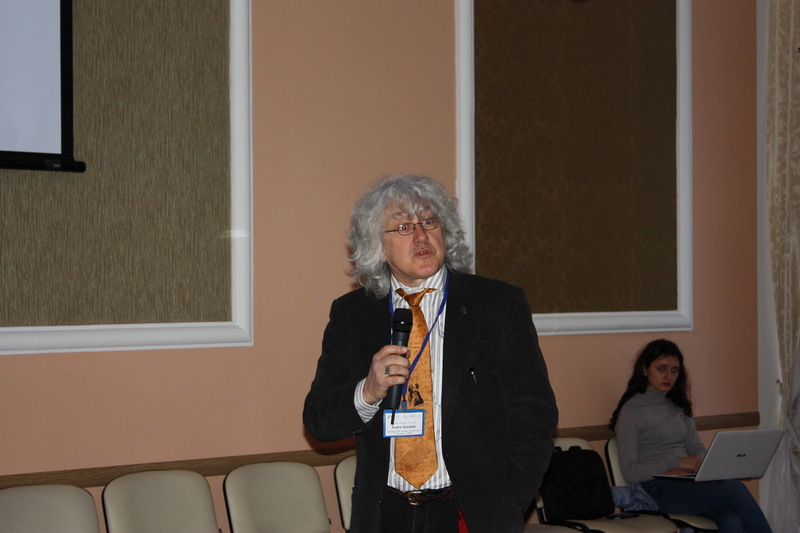 Deputy Director of the Institute for Economics and Forecasting of the NAS of Ukraine, Corresponding Fellow of NASU Professor Anatoliy A.Hrytsenko described the main prospects and specific features of Ukraine’s current socio-economic development. He emphasized the need to jointly analyze the experience of reforms of Ukraine’s and China’s economies, to identify the mechanisms of economic development common to both Ukraine and China and those that differ. He underlined strong potential for Ukraine’s adoption of progressive instruments of economic reform in China suitable to current interests of Ukrainian state. 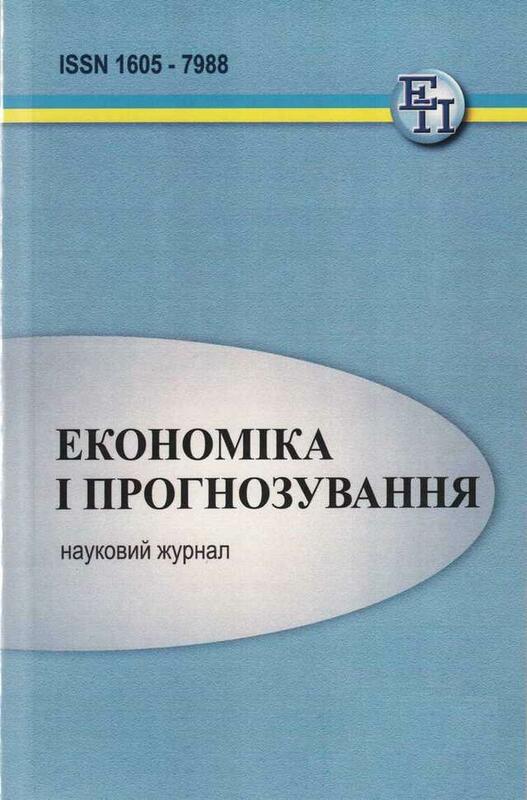 Modern time economic issues and potential of the development of economic cooperation between the PRC and Ukraine under the pressure of today’s challenges and structural changes of global economy were expounded in the report of the Deputy Director of IWEP’s Department of International Strategy Ren Lin. 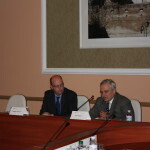 Head of the Department of Modelling and Forecasting of Economic Development of the IEF, Fellow of the NAS of Ukraine, Dr. of Science in Economics M.Skrypnychenko proposed approaches to modelling and assessment of prospects of mutually advantageous bilateral economic cooperation between China and Ukraine within the framework of implementation of the initiative “One Belt, One Road”. 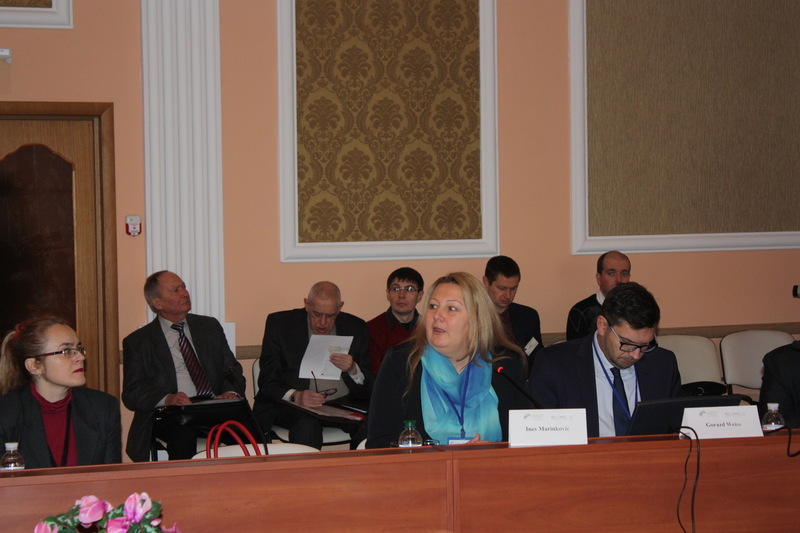 Fiscal preconditions of cooperation between the PRC and Ukraine that are conducive to economic activity for the implementation of the concept “One Belt, One Road” in Ukraine were defined in the presentation of the Director of the Section of Public Finances I.Lunina. She specified main areas of reforming the corporate income tax and value added tax with the purpose of lowering the tax burden on business in Ukraine comparison with those of the EU countries. She also described the options of simplified system of taxation for agricultural sector. 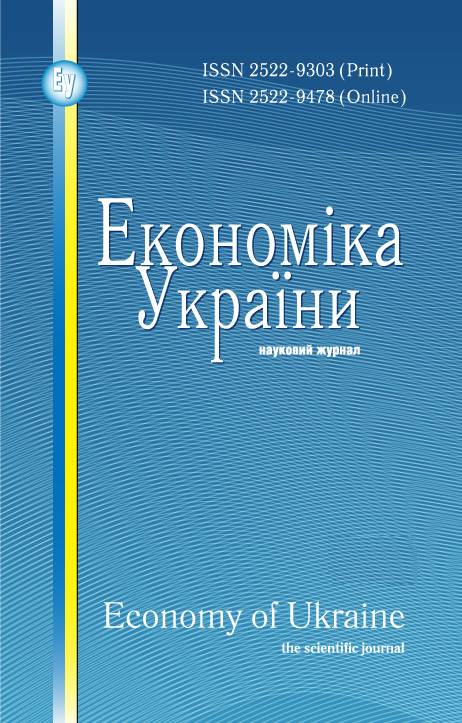 The main trends and sectoral structure of economic cooperation between Ukraine and the PRC during the last decade were explored in the report by Senior Research Fellow of the Section of Public Finances PhD in Economics O.Stepanova. She defined specific features of investment activity and practices within cooperation between Ukraine and China and outlined prospective mechanisms of intensification of economic cooperation in the context of the PRC’s initiative “One Belt, One Road” implementation in Ukraine. 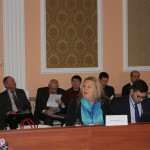 She listed among them: the possibility to establish a Free Trade Agreement between Ukraine and the PRC under conditions of the fulfillment of the Ukraine-EU Association Agreement; involvement of international financial organizations and transnational corporations into cooperation with Ukraine on the basis of public-private partnership. The speaker mentioned specifically the Asian Bank for Infrastructural Investment and the Investment Fund Silk Road Company. 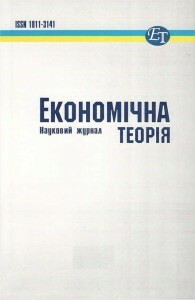 Dr. O.Stepanova also dwelt upon the transfer of technologies and on creation of “technological parks” in Ukraine (referring to the technopark project “Great Stone” in the Republic of Belorus as an example). She also underscored the option of setting up manufacture and logistics clusters in order that the advantages of Ukraine-EU Association Agreement can be used. 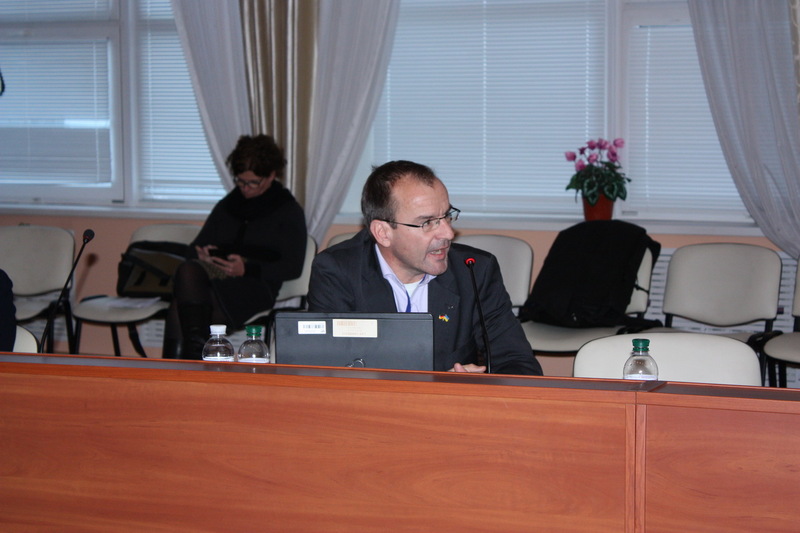 Dr. of Science in Economics O.Nykyforuk, Head of the Department of Manufacturing Infrastructure Development, briefed the participants of the round table on the prospects of Ukraine’s participation in the initiative “One Belt, One Road” in terms of infrastructure development. She also informed them about the research done by her Department. The speaker stressed the fact that the new transportation corridors, built under the New Silk Road concept, can shorten the terms of cargo deliveries from China to Europe by waterways from today’s 45-60 days to 10-13 days, using land routes. She also emphasized the interest of the PRC for Chinese construction and railroad companies to enter the markets of other countries thus providing them with work for decades to come. 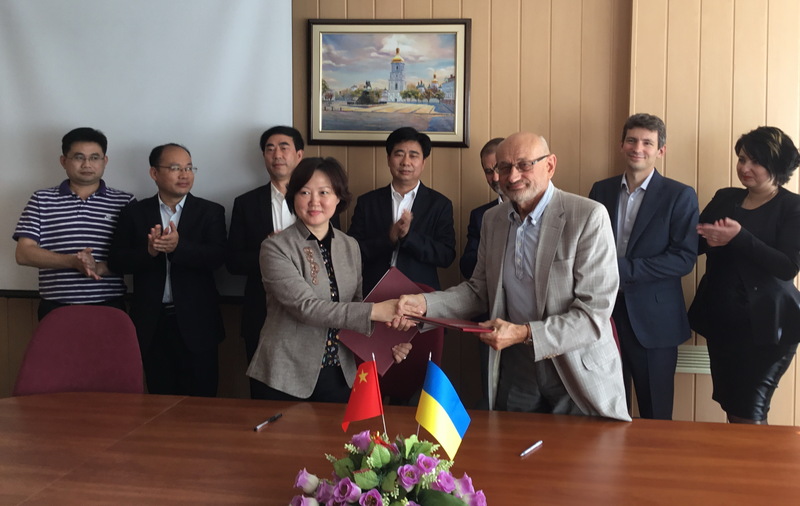 For Ukraine this is an opportunity to draw Chinese investments into the development of its own infrastructure and built its system of transportation and logistics into the global transportation and logistics networks already functioning on Eurasian continent. The role of tourism as a factor in the advancement of cooperation between Ukraine and the PRC was highlighted by the Head of the Sector of International Financial Research, PhD in Economics O. Borzenko. She stated that modern trends in the development of tourism are positive. The growing interest of the tourists to our culture, large amount of advertisement, availability of information increase the opportunities for communication between the peoples of Ukraine and China. The speaker pointed out that job creation, new recreational facilities, networks of tourist infrastructure capable of rendering various paid and free services should be priorities in both domestic and international tourist business. 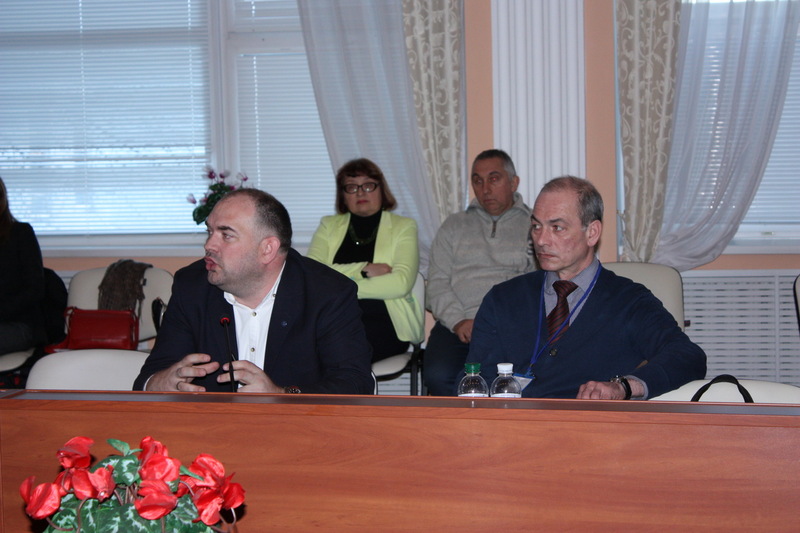 Among the priority segments of tourist business development Dr. O.Borzenko also mentioned consolidation of political and economic ties among all members of international community on the new entirely new positions determined by the principles of the UN and universal human values. She also prioritized the development of the project “Oriental Express”. Prospective forms of cooperation between Ukraine and the PRC through new organizational forms of innovation, of clusters under the “One Belt, One Road” initiative were presented in the report of a leading Researcher of the Department of Innovation Policies, Economics and Organization of Advanced Technologies, PhD in Economics O. Boyko. To create them we first of all need to develop legislation regulating these clusters. The notions of “cluster”, “cluster development policy”, “clusterization” need to be defined. Development of cluster relationships and networking under “One Belt, One Road” initiative is needed too. The models of application of public-private partnership mechanism should be developed so that non-governmental investment resources can be drawn into development of the clusters. Transboundary clusters and mechanisms of their setting up should also be defined by law. Generally speaking, the clusters can become a mechanism of acceleration of economic transformations invoked by the initiative “One Belt, One Road”. 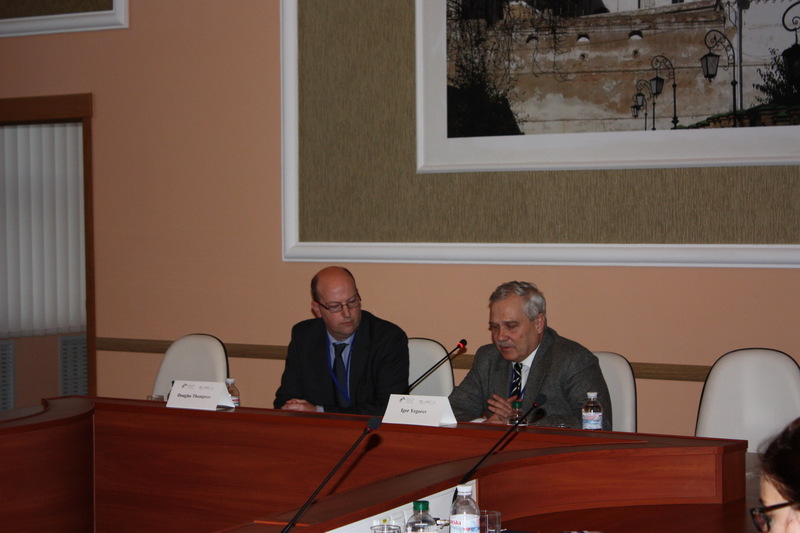 The areas of mutually beneficial cooperation, its mechanisms and prospects determined during the round table were incorporated into the Memorandum of Understanding between the Institute of World Economics and Politics of Chinese Academy of Social Sciences and the Institute for Economics and Forecasting of the NAS of Ukraine, signed by the IEF Director Academician Valeriy M.Heyets and by Director of IWEP of CASS Professor Zhang Yuyan. 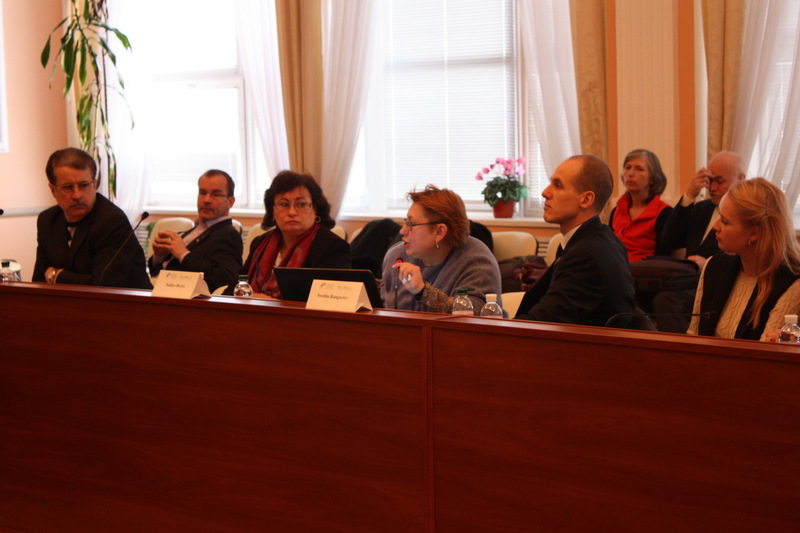 The international seminar for cluster managers was held in the conference hall of the Institute for Economics and Forecasting on 15 February, 2017. 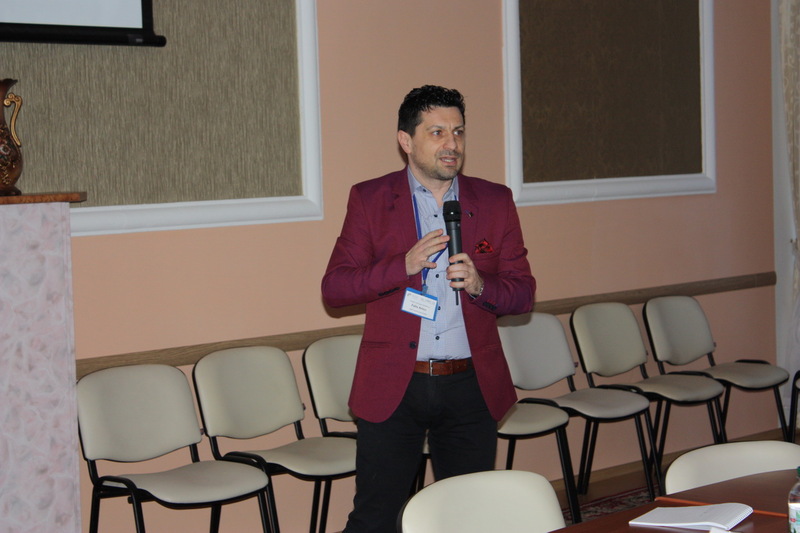 The seminar was organized within the framework of two relevant projects funded under Horizon 2020, the European Union's Framework Programme for Research and Innovation: the Black Sea Horizon and the Strengthening Research and Innovation towards Ukraine projects. 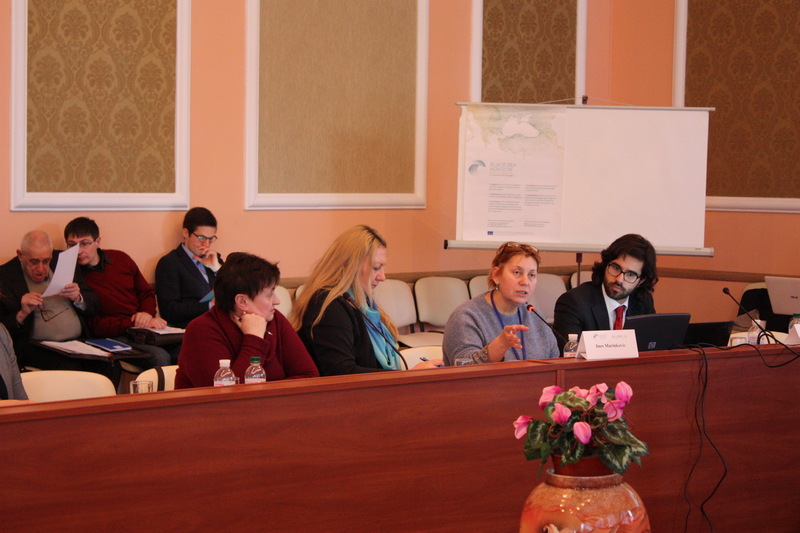 The aim of the seminar was to promote the dialogue between selected industrial and innovation clusters from the Black Sea Region, fostering cooperation opportunities and to provide recommendations on how to establish, manage, sustain and internationalize these clusters. 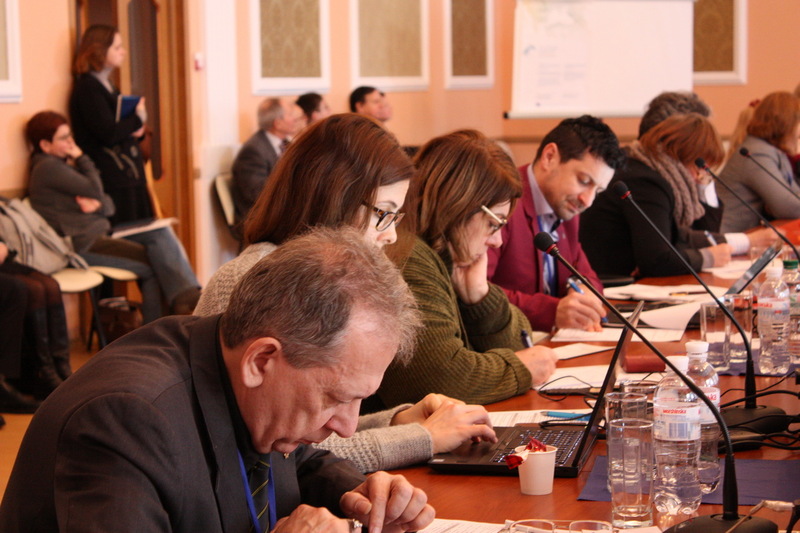 The seminar was targeted practitioners, although a lot of representatives of research institutes and universities took part in it. 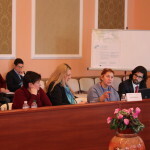 The total number of participants was about 80, including 23 participants from such foreign countries, as Armenia, Austria, Bulgaria, France, Germany, Hungary, Lithuania, Moldova, Romania, Poland, Portugal etc. Mr. Thierry Devars, the project officer of the DG Research and Innovation of the European Commission, Anatolii Bagan, the deputy head of the department of industry and entrepreneurship development of the Kiev City State Administration, Dr. S. Lukach, adviser to the Parliamentary Committee on Industrial Policy made introductory remarks. 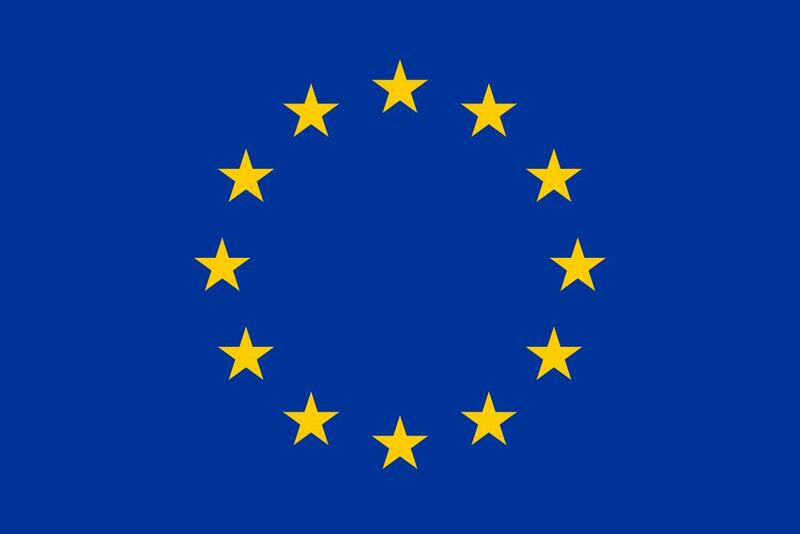 The implementation of the Association Agreement between Ukraine and the EU: recommendations based on the experience of Eastern Europe: research paper / ed. Acad. 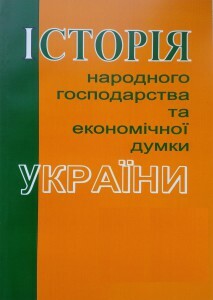 NAS of Ukraine V.Heyets, Corr. 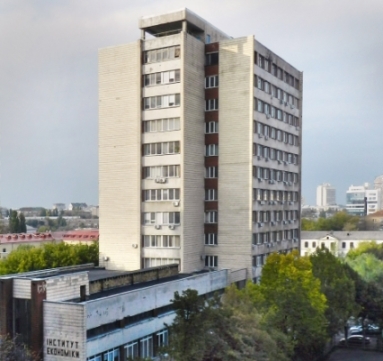 NAS of Ukraine A.Danylenko, Cor. 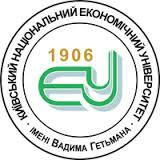 NAAS of Ukraine, Dr. of Econ. 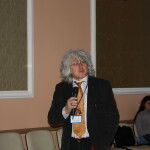 T.Ostashko; National Academy of Sciences of Ukraine, State Institution "Institute for Economics and Forecasting of National Academy of Sciences of Ukraine"- K., 2015. - 104 p.
The report provides recommendations on the implementation of the Association Agreement between Ukraine and the EU elaborated by a research team of State Institutions "Institute for Economics and Forecasting of NAS of Ukraine" (IEF) based on analysis of the experience of European integration in Eastern Europe. Department of Innovation Policy, Economics and High-Tech Research completed work on "The main problems and guidelines of Ukraine’s innovative development in 2015-2020." 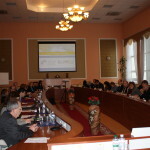 The work is the result of comprehensive research by specialists from several Ukrainian research institutions (coordination and general methodology to implement the project were provided by the State Institution "Institute for Economics and Forecasting of NAS of Ukraine"). The researchers deepened the understanding of the importance of innovation in the reproductive processes in a modern economy, revealed various socio-economic generalities determining the dynamics of innovation development both at the state level and at the level of individual companies. In particular it is shown that, with the innovative type of development, the dynamics of change reaches a level at which features that characterize the variability of state, begin to greatly dominate over those that characterize its stability. 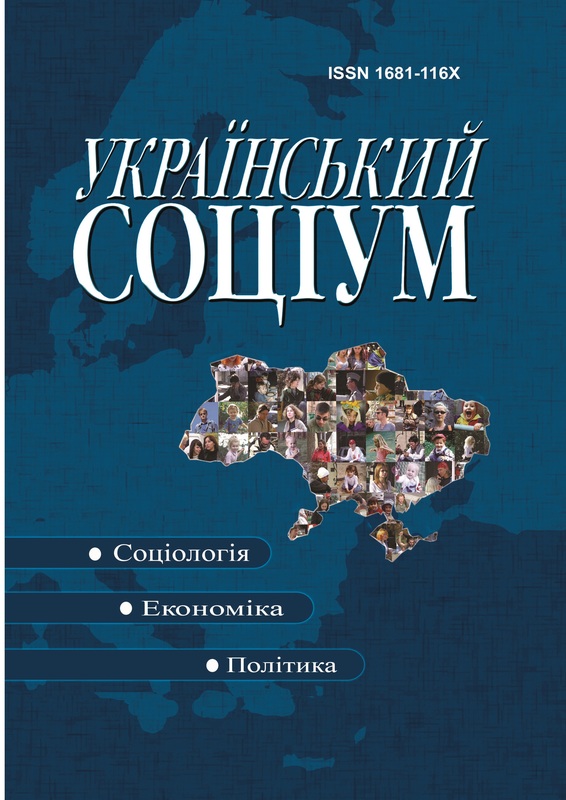 The authors show the role of national institutions in the implementation of innovation policy under the crisis conditions, in which Ukraine is now. 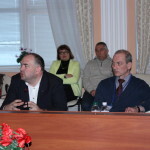 At the end of May 2014, the Institute for Economics and Forecasting of NAS of Ukraine met with Grzegorz W. Kolodko, the famous Polish economist and director of the Center for Transformation, Integration and Globalization Economic Research, TIGER (www.tiger.edu.pl & www.volatileworld.net) at the Kozminski University in Warsaw, former deputy prime minister and finance minister of Poland. 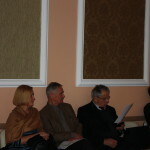 Professor Kolodko described the changes that were made in Poland during the past 25 years, answered questions from the audience and presented the book "Whither the World: The Political Economy of the Future" (http://www.znanium.com/catalog.php?item=booksearch&code=kolodko). 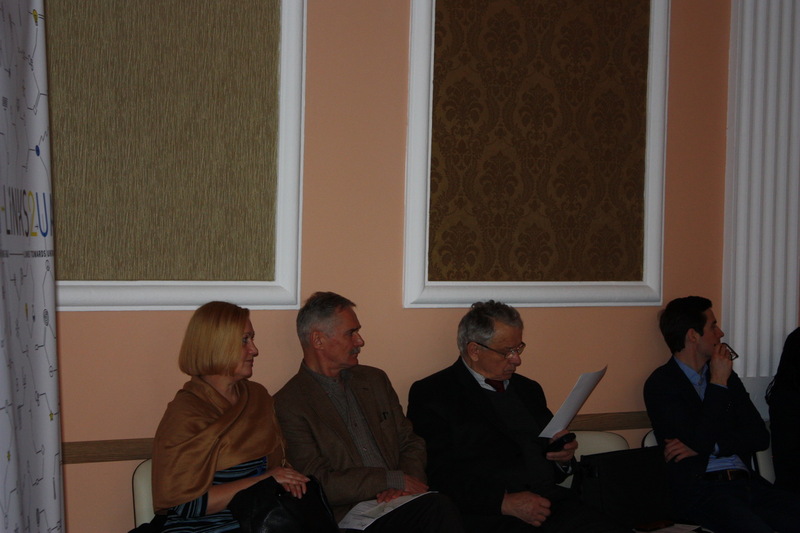 Learn the basic theses of Professor G. W. Kolodko’s speech here.